Heather K. Jones talks about the various diet “types” and how finding your diet type will help you stick to a sustainable, life-long plan for total wellness. With so many different diets and weight-loss regimes out there, it is hard to figure out which one works for you specifically. Maybe it makes sense to do a little matchmaking, between your personality and the type of diet that suits you. Heather K. Jones, author of What’s Your Diet Type?, talks about the various diet “types” and how finding your diet type will help you stick to a sustainable, life-long plan for total wellness. Gloria Tsang, RD: With so many different weight loss diets out there, it’s hard to figure out which one works for you specifically. Maybe it makes sense to do a little matchmaking, between your personality and the type of diet that suits you. Welcome to the Nutrition Tidbits podcast. This is Gloria Tsang, Editor-in-Chief for HealthCastle.com. Joining me today is nutritionist Heather K. Jones. She’s the author of the book, What’s Your Diet Type? She is here today to talk about the various diet “types” and how finding your diet type will help you stick to a life-long plan for total wellness. Thank you for joining me Heather. Heather K. Jones, RD: Of course! Gloria Tsang, RD: Now for the newer members of HealthCastle.com, you might not know Heather. But Heather has been our contributor writer back in 2007 so we are all very excited for her to have her book out this year. So congratulations Heather! Heather K. Jones, RD: Thanks, very, very much. Gloria Tsang, RD: Tell us the basic premise of the book. How does this approach differ from all other diet books out there? 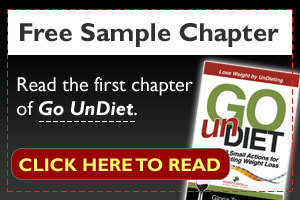 Heather K. Jones, RD: Well most diet books ask you to change who you are to fit their plan. This diet book isn’t so much about going on a specific diet per se, it’s about finding out more about who you are so you can find a weight loss approach that you can follow for life. It’s not about going on a diet and then once you lose the weight you go off that diet. It’s about learning more about the kind of person that you are so you can find an approach that last for you for a life time. Because diet is not about just the food or how much you work out, it’s about the type of person that you are and the type of approach that is going to work for you. Gloria Tsang, RD: In your book you mentioned there are four general diet types. There are diet planners, players, feelers and thinkers. Let’s pick one just to talk about. Let’s talk about a diet player since you confess to be one. Can you describe this diet type to us? Heather K. Jones, RD: Diet players like myself don’t really like to follow strict diet rules. While they might try those types of plans and say to themselves ok, this time, I’m going to follow the rules, I am going to do what I’m supposed to and I am going to eat what I am supposed to and I’m going to lose that weight. But the players go against their true self to have to follow a strict plan. They like to live in the here and now and they like to go with the flow, keep their options as they are. This kind of plan doesn’t work for them. Unfortunately, a lot of the weight loss plans that are out there really require you to have a lot of rules. You know, whether you are counting points or you are eating these foods and not eating those foods. Most diet plans require rules. So a player can get lost in that and what they need is a more balanced way to look at life. A balanced way to keep foods around them and their house and where they work that they actually like and are actually good for them. And to allow themselves to go out and eat foods that are not necessarily the best things for them from time to time as long as they balance that with more working out or a balanced lifestyle. Gloria Tsang, RD: So what are some of the pitfalls or potential pitfalls for a diet player? Heather K. Jones, RD: Diet players tend to really want to jump on those fad diets. They are the ones that hear about this new diet that is going to help them lose the weight. Their friend is doing the diet and it sounds good so they are going to do this fad diet. But most fad diets do not offer a balanced way to lose weight. They suggest that you cut entire food groups out or they suggest you eat a very small amount of food. They tend to get lost in the fad as opposed to looking at the long term lifestyle approach that’s going to work for them. That’s one of the big things that they really get caught in. Gloria Tsang, RD: What strategies to adopt in terms of strategy and approach to permanently change some of their eating habits? Heather K. Jones, RD: Well what they need to do is look at the big picture of their life and they need to get in the know and find out as opposed to jumping to the fad or doing what they think is going to work right there in the here and now. They need to sort of get themselves informed so they can make decisions about their health that are going to work for them. They need to find out at their local coffee house the type of drinks they like that are also going to fit into their diet needs are. So that’s one of the big ones that help. Another one is for them to find ways to work out that they enjoy. Trying to get a player to get on to a treadmill or a bike or something that they don’t enjoy just because they have to get that workout is not going to work for them. It’s really about mixing it up and finding things that they really enjoy to do and making it a part of their life. Whether that’s going for rock climbing or a walk outside or bowling or even trying different things that really works. Another thing that really works is to figure out things that they can indulge in their life without necessarily blowing their weight loss goals. That means finding small ways to indulge so that they can have a balanced life. Gloria Tsang, RD: Can a person be two or even three diet types? Heather K. Jones, RD: Yes, it’s very common that some people will read the book and take the test and like huh. I relate to a player and a thinker. I relate to even three. While most tend to be very connected to one diet type, it’s common that you have at least a second one that is going to speak very strongly to you. That’s fine. The book is setup in a way so that you can actually read about more than one type and take the parts that work for you. Because each person is a going to have a combo of different types based on how you were raised, what you like and what you don’t like. So it’s very common to relate to more than one diet type. Although some like myself, a player, is very strong and I am really a full player with some feelers thrown in. But most are going to have one that is very strong and another two or even three. Some maybe can relate to all four. So it really depends on you. Gloria Tsang, RD: In your book, you provide some easy to prepare single serving recipes for meals. As I was reading that, it just dawned on me that some people or even a diet type that never want to read or follow recipes. So what should they do? Heather K. Jones, RD: As I give advice in each of the four types about the best way to help them fit in foods, the meals in the back of the book are simply meant to be there if this is what you choose to do. It’s not like the only meals that you can eat if you want to lose weight. Because it’s not like that at all. If you eat out a lot, you will have to find ways to work that into a healthy plan. So those meals are simply there so you can use them if you choose but certainly they are not the only things that you are allowed to eat by any means. Gloria Tsang, RD: Heather, what is your website? Heather K. Jones, RD: My website is MyDietType.com. If you go there, you can actually take the test and figure out what your diet type is. You can learn about me and my co-authors Mary Miscisin and Dr. Ed Redard. And of course, you can buy the book. Gloria Tsang, RD: Awesome, thank you for joining me Heather. Heather K. Jones, RD: Thank you so much! Gloria Tsang, RD: We have been talking to nutritionist Heather K. Jones, author of What’s Your Diet Type. For more healthy eating tidbits and a link to her website, go to HealthCastle.com.